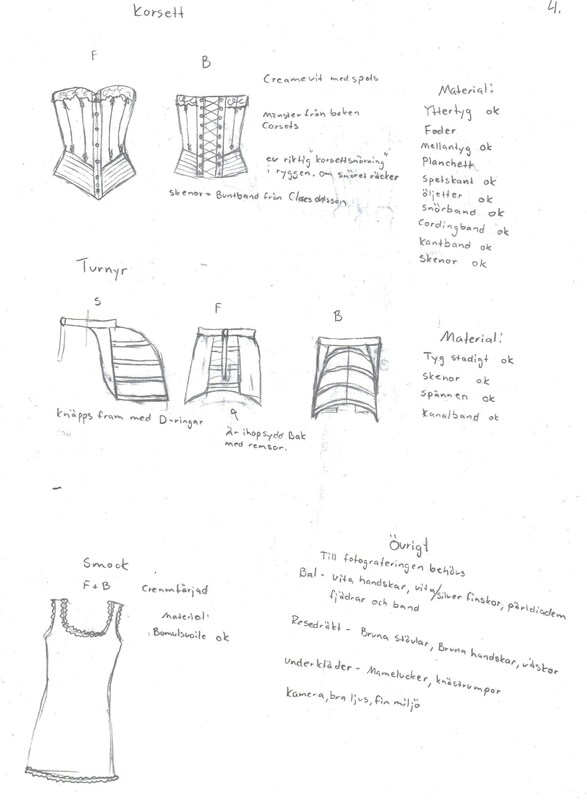 A couple of years ago I attended a class in “costume design”, and one of the plays we got to work with was The Cherry Orchard by Anton Tjeckov. The play is set in the late 19th/early20th century russia, and are about a familys last days on their recently sold country estate. 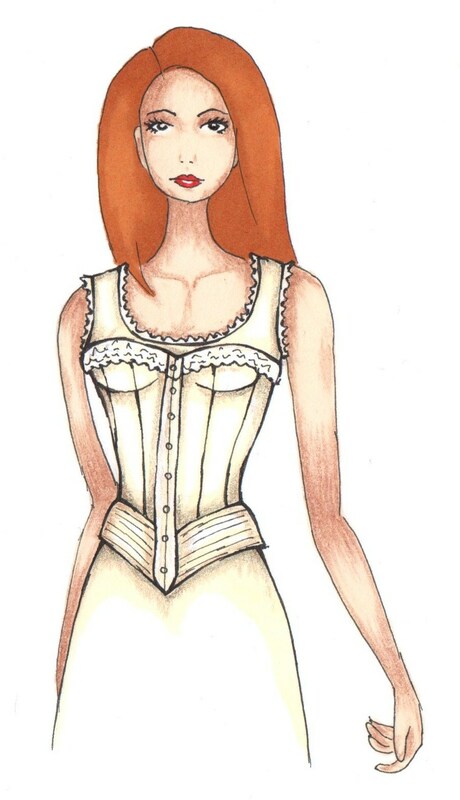 We where asked to choose one caracter to design a costume to fitt the narrative of the play. I picked the caracter of “Anja”, a young debutant who dreams of love and a fairytale lifestyle. I decided to make the costume from the inside out (being me, I couldn’t just do one dress…). I started by deciding the underwear, doing a principle sketch combined with a lists of material and notions. 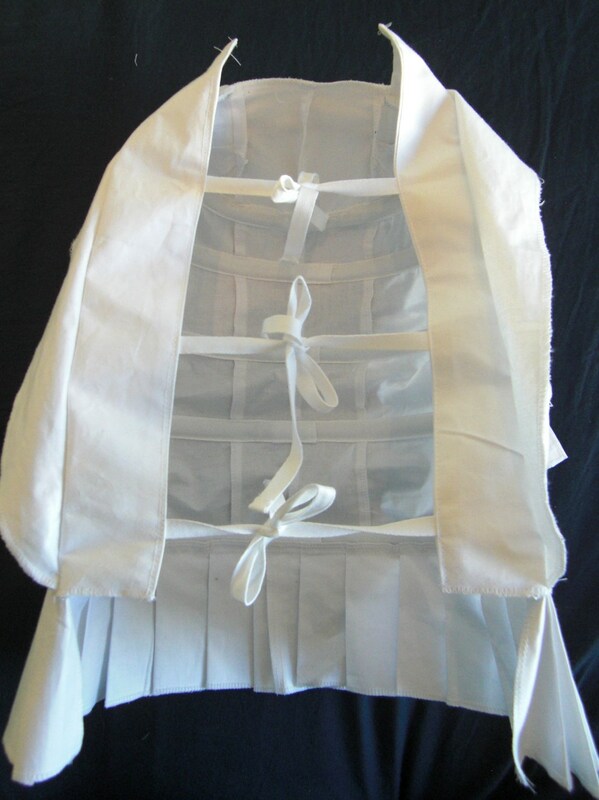 A corset, bustle and chemise. 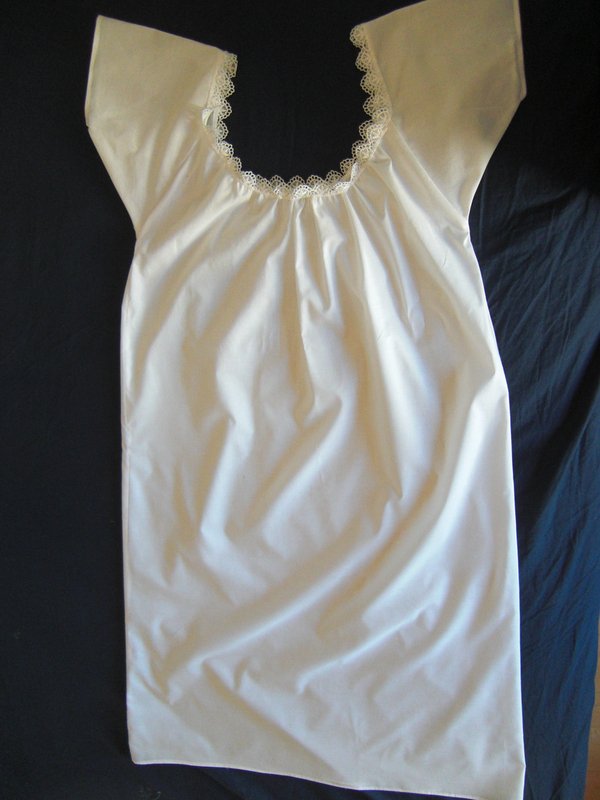 I started by making the chemise, in a soft cotton voile and decorated it with some lace. I used a free download pattern from the internet (which I unfortanly have lost the link to). Then I moved on to the bustle. 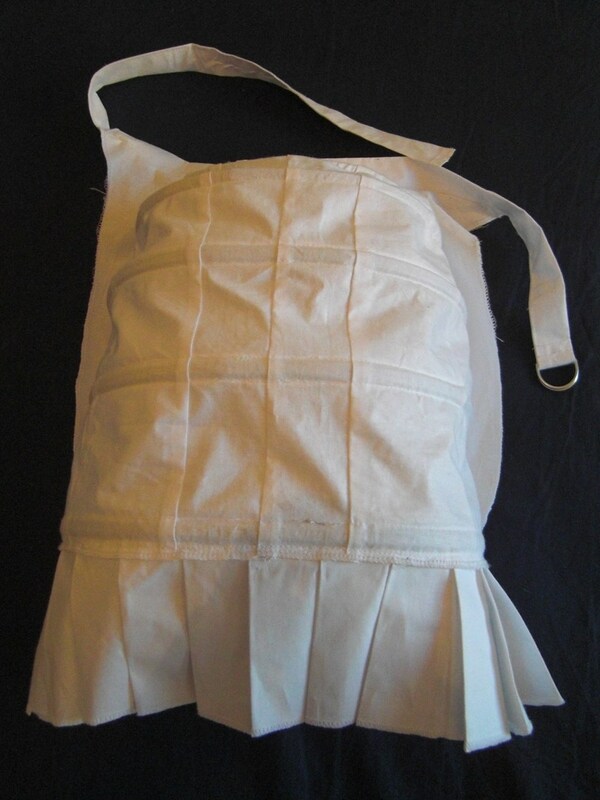 With only pictures of bustles and no pattern I tried to draft my own, resulting in a pretty good shape – but probably not the easyest way to do it. 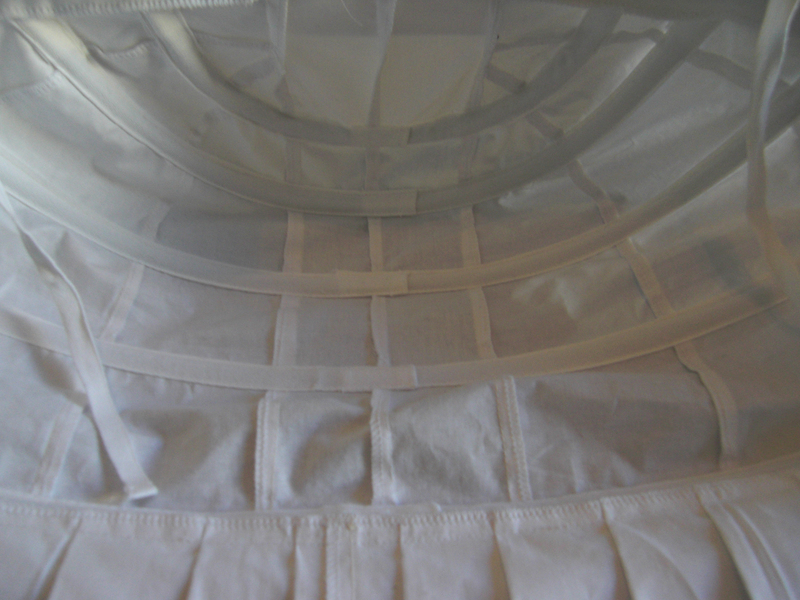 Inside of the bustle. 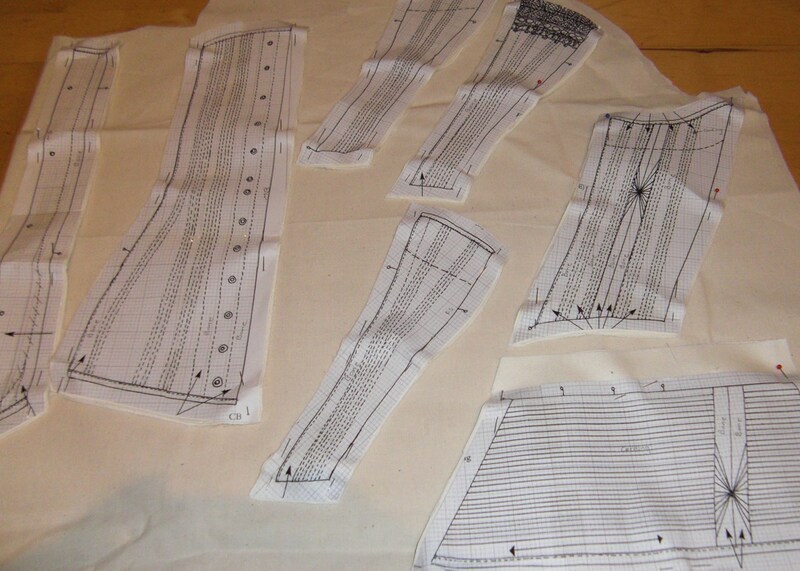 You can se all the seamlines and the boning chanels. 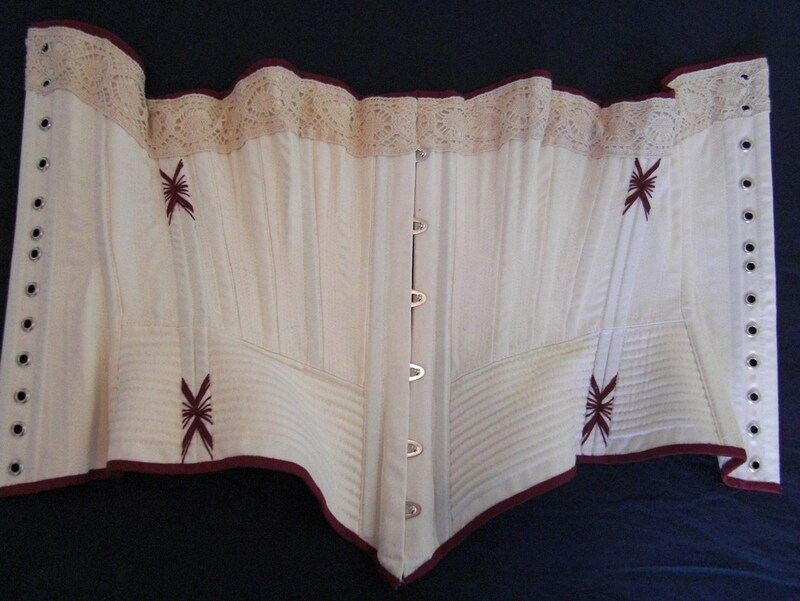 Then it was time for the corset. 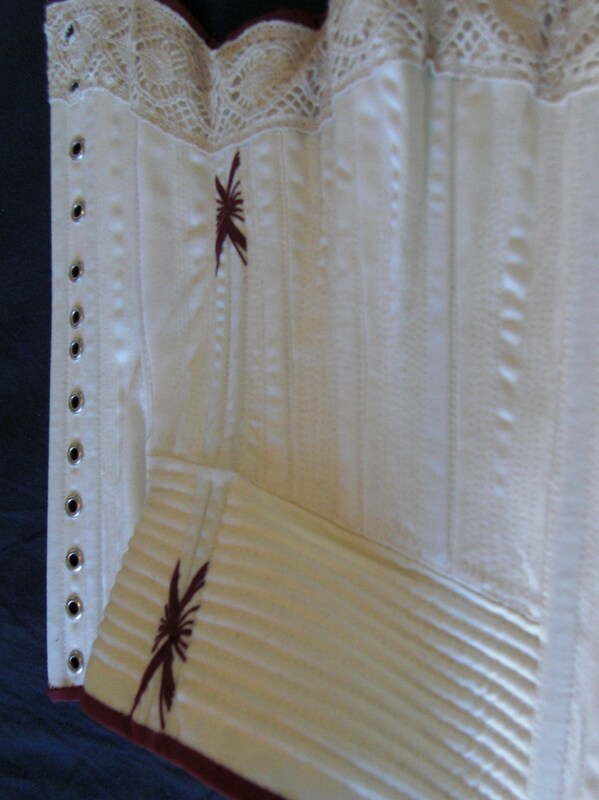 I used Jill Salens pattern for “Pretty Housmaid corset” 1880s, which I enlarged using the computor and printer. 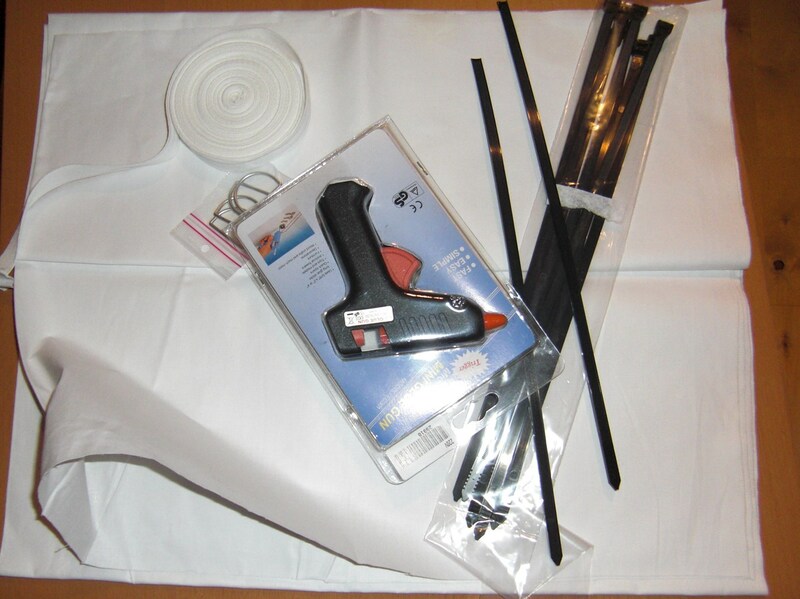 I cut the pieces in a lovely cotton sateen. The cording took quite a while (it was my first time doing it). 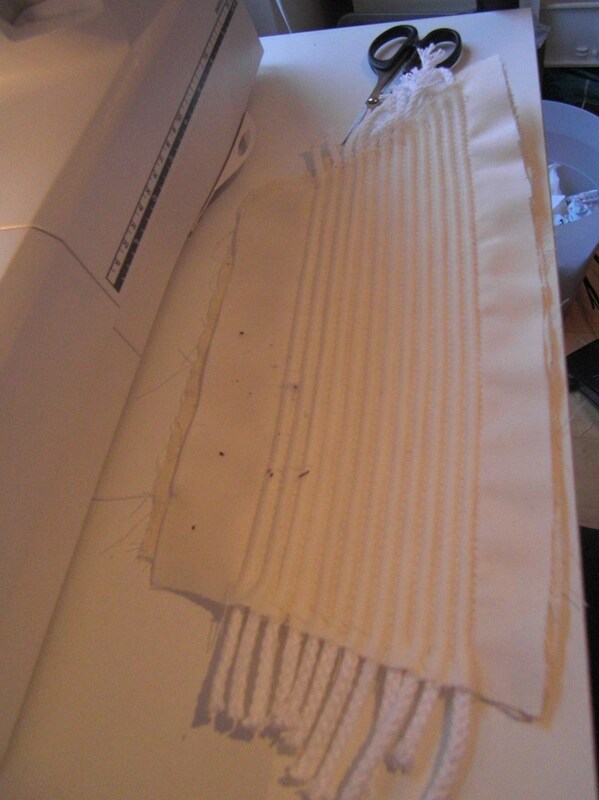 I sewed it together, inserted busk, bones, gromets and then attached bias tape and lace. Creative mess. I asked my sister to model the garmnents. My favourite costume picture ever. 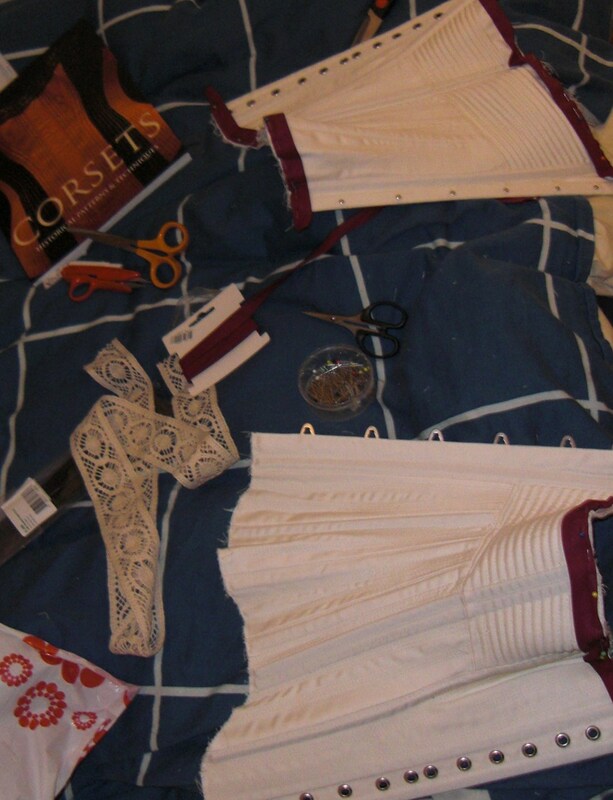 So now the underwear was ready, it was time to start on the dress. 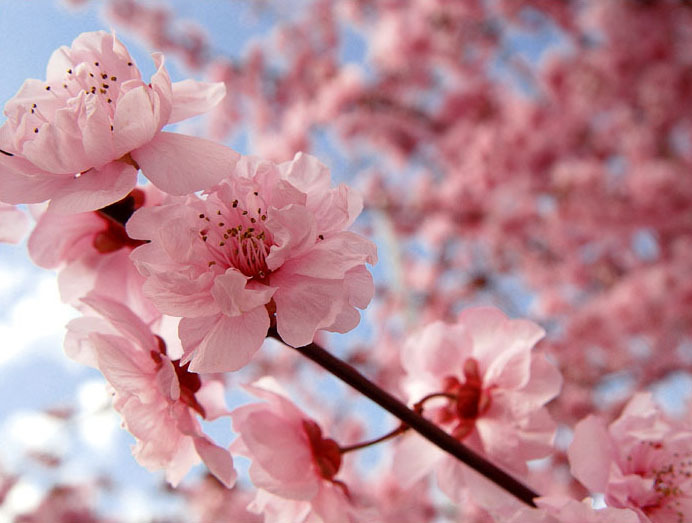 But that will have to wait untill next post.